Excerpts from two programs. 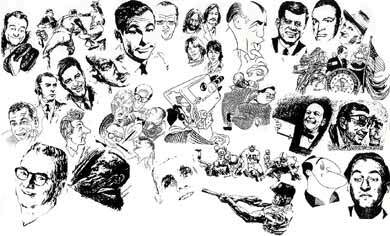 Jan. 31, 1963 comic & impressionist, Adam Keefe. Feb. 1, 1963 Merv Griffin's guests are Edward Everett Horton, Buddy Hackett and Bobby Breen. Mrs. Miller tells a joke to Merv who also plays the piano.